After my short tour of the Camsur Watersports Complex, Mariefe brought me back to Pili Airport where my driver Mr. Melvic Brinas was already waiting for me. It was already raining when I arrived at the airport. The drive to Daet took all of 2 hours and, upon arrival, I was billeted at the resthouse of Gov. Jesus Typoco Jr., alongside Bagasbas Beach Here, I was all by my lonesome inside a big bedroom but it had, in the succeeding days, a ringside view to all the surf festival’s proceedings along Bagasbas Beach. It was still raining when I arrived at Daet and it would continue to do so throughout the rest of the day. DOT-OPRD project officer Ms. Val A. Congzon and Provincial Tourism Officer designate Mr. Edgardo Reyes were already on hand to welcome me. Val, with her son Loven, just arrived earlier via a Superlines bus. Her trip, normally just 8 hours, took much longer because of traffic. As I had nothing else to do, I joined them for lunch at the Golden Palace Restaurant located at the town proper. After a filling lunch, I was toured around the town, visiting the First Rizal Monument. Later, back at Bagasbas Beach, I met up with surf festival organizer Mr. Joey Cuerdo. To him, I voiced out my concern about the rains continuing on to the next day, putting a damper on the festival activities which, aside from surfing, included wall climbing, beach volleyball and ultimate frisbee. He assured me that it won’t, having checked the weather forecast for tomorrow via the internet. I hope he’s right. Come morning, the rains had stop and the sun was shining bright in the sky, just as Joey had said last night. I again had breakfast at the Golden Palace Restaurant with Val, Ed, Loven and guests Jason and Michelle Carpio. After breakfast, we returned to Bagasbas Beach where the surf festival was already in full swing. Other invited members of the media, accompanied by DOT media coordinator Mr. Boyet Escueta (whom I also met during the 2002 Kaogma Festival in naga City), were already there, brought in from Legaspi City (where their plane landed from Manila). They were also billeted in the Municipal Guest House. I was invited to cover the 2nd Bagasbas Summer Surf Festival (April 4-5) to be held in Daet, Camarines Norte, and I was to get there via an Air Philippines flight to Pili Airport in Camarines Sur. 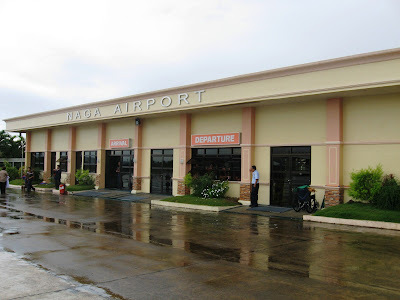 At the NAIA terminal, there was a long queue for this as well as other flights to Pili as the surf festival also coincided with April 2-5 Terry Larrazabal Bike Festival to be held in Camsur. Many participants brought along their packed bikes. I was lucky to get on board my flight. Flights were overbooked and other members of the media who were joining me had to move their flight for next day and would have to land in Legaspi City (Albay) instead of Pili. The flight to Pili took just 45 mins. and I arrived at the airport by 8 AM. It seems no one was at the airport to pick me up as they must have thought that my flight was cancelled. Luckily for me, I met up with Ms. Marife Nolasco-Maralit, the Camarines Sur Provincial Officer who I met previously at the 2002 Kaogma Festival of Naga City. She contacted the Mr. Melvic Brinas, the driver who was supposed to pick me up. Melvic was already on his way back to Daet when he received the call and he promptly turned back. 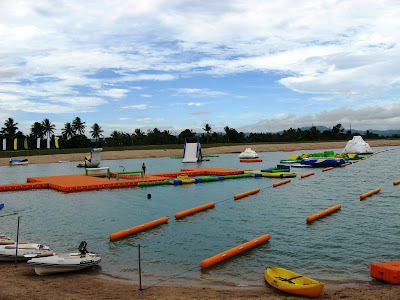 As I still had time to kill before his arrival, Mariefe offered to tour me around the nearby Camsur Watersports Complex (CWC). 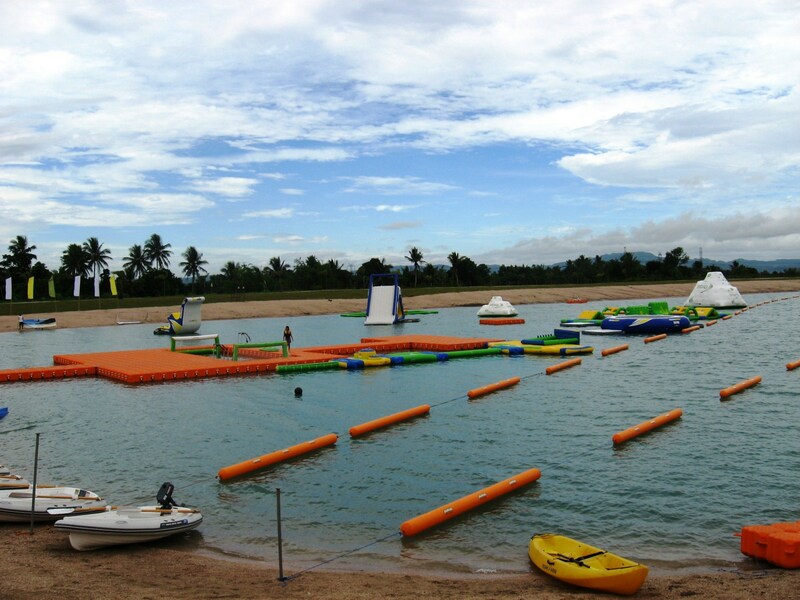 This unique, 6-hectare watersports park, opened in May 2006 (during the term of Gov. Luis Raymond Villafuerte, president of the Philippine Waterski and Wakeboard Federation), is the top tourist attraction in the Bicol Region. It offers a 6-point cable ski system designed for wakeboarding, wakeskating, kneeboarding and waterskiing. These are done in 2 large man-made lakes. It is open even at night as the park is equipped with spotlights. CWC also has a clubhouse restaurant by the lagoon, a swimming pool, sand bars, spa, pro-shops and a grandstand for guests. 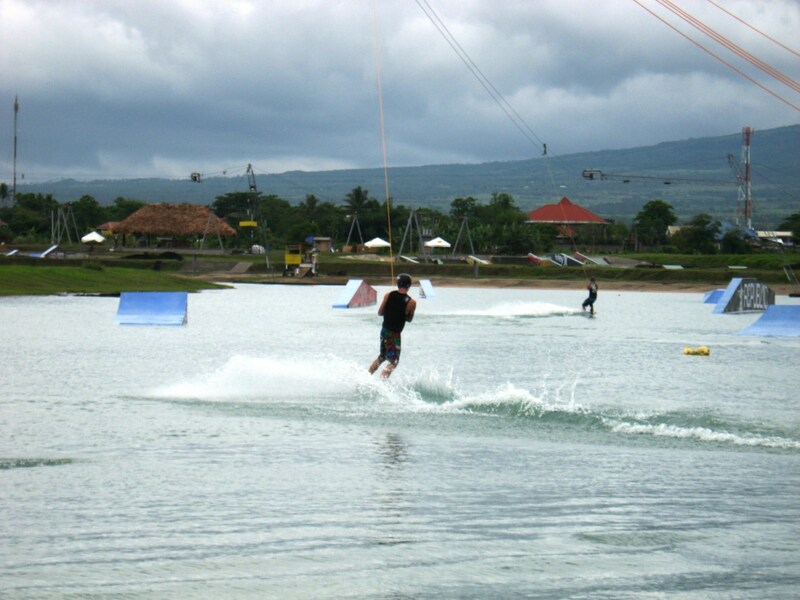 On October 2006, the 1st Cable Wakeboarding Nationals were held here and, on July 2008, the complex hosted the 2008 World Wakeboarding Competition. Accommodations in and near this provincial government-run complex include first-class hotel rooms, Tiki huts, airconditioned individual cabanas and refurbished container vans just meters apart from each other. 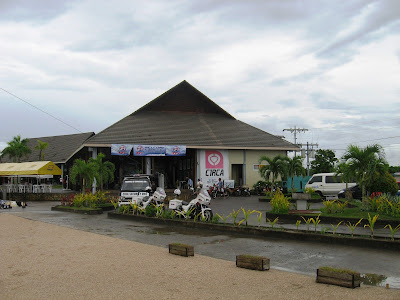 Camsur Watersports Complex: Provincial Capitol Complex, Brgy. Cadlan, Pili, Camarines Sur. Tel: (054) 477-3344, 475-0689 and 477-3349. Fax: (054) 477-3347. Website: www.camsurwatersportscomplex.com. After our city tour, we all returned to Naga City proper for the highlight of our stay: the Kaogma Festival’s 27 May Grand Parade which caps the 423rd foundation anniversary of the province. 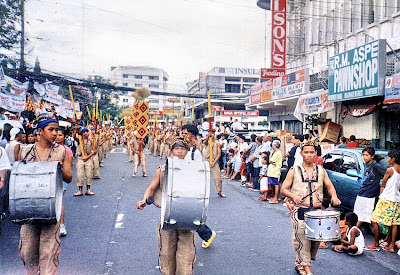 The word kaogma is derived from the Bicolano word meaning “happy.” The festival was first celebrated on May 15, 1989 to commemorate the Feast of San Isidro Labrador (St. Isidore the Farmer), the patron saint of farmers. This was just a one-day celebration but, over the next two years, it was extended to three days. Gov. Luis R. Villafuerte then sent Prof. Danny Gerona to Spain to research the birth date of the province which was found to be May 27, 1589. Since 1999, the festival has become a week-long celebration. 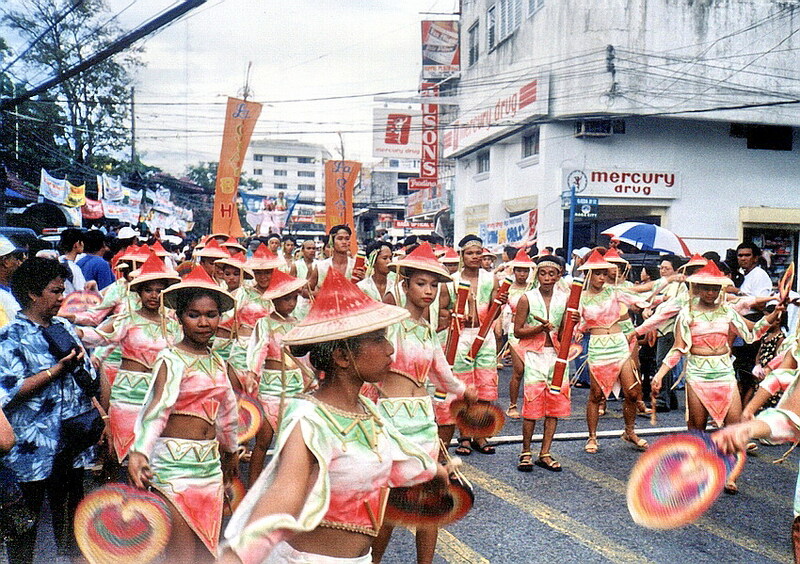 The Grand Parade featured well-choreographed street dancing contingents showcasing uniquely designed and colorful ethnic and native costumes using abaca and characters in fantasy costume. 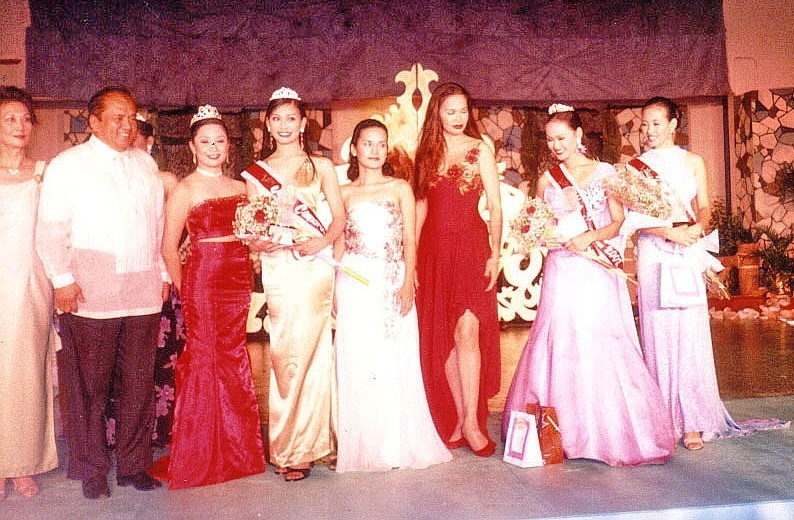 The contingent from the capital town of Pili won. The parade also featured marching bands, giant mascots, competing drum and lyre corps, a fancy drill competition and a grand display of the 37 flags of the province’s cities and towns. The festivities were ended by a fireworks display and the release of hot-air balloons. From the Ermita, we crossed the Naga River, and made our way to the Basilica Minore de Peñafrancia. 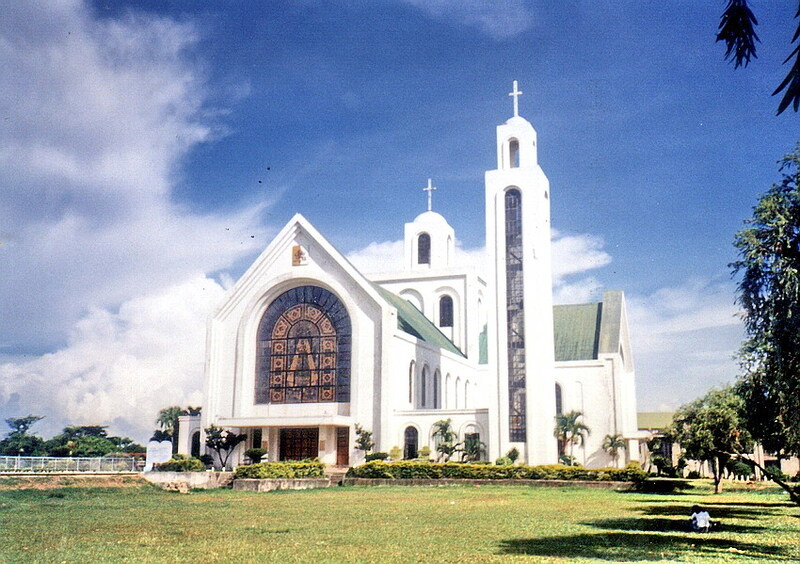 This imposing modern shrine, started on April 18, 1976, was completed, after some delays due to financial concerns, on September 1981. 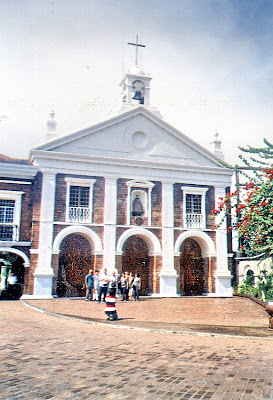 The original statue of the Virgin of Peñafrancia was transferred here from the Ermita on May 22, 1982. 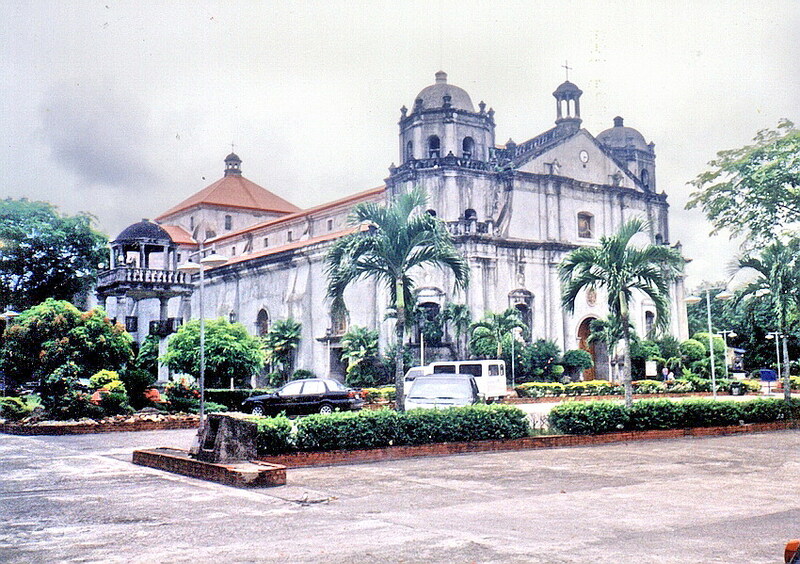 This Romanesque-style basilica was given the title “Basilica Minore” on May 22, 1985. Its grounds has a fine view of Mt. Isarog. After touring the basilica itself, we next proceeded to the nearby Altersheim Building where we had the chance to interview Rev. Monsignor Romulo A. Vergara, H.P., the rector of the Peñafrancia Basilica and a cousin of our media colleague Rick Alberto. We were also shown (and privileged to touch) the original Statue of Our Lady. The one I saw at the basilica just happens to be a replica. 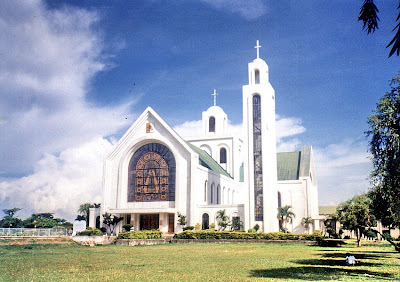 Basilica Minore de Penafrancia: Balatas Rd., Brgy. Balatas, Naga City, Camarines Sur. Tel: (054) 473-3644. E-mail: info@penafrancia.org.ph. Website: www.penafrancia.org.ph. From the cathedral, we were driven, upriver from the city center, to the bank of the Naga River where we visited the Old Shrine of Our Lady of Peñafrancia. This stone church was built in 1753 by Bishop Isidro Arevalo to replace a bamboo and nipa chapel built in 1711. 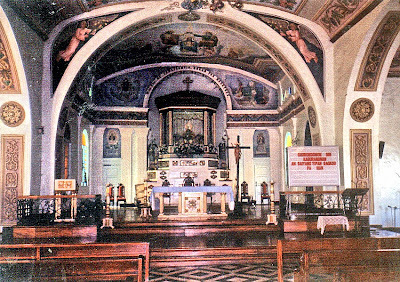 Also known as the Ermita, it was restored and enlarged in 1876 to 1877. The shrine has a charming facade decorated with Chinese art. Its bell was donated by Don Simon Tuangqui, a wealthy Chinese trader, during its reconstruction in 1864. 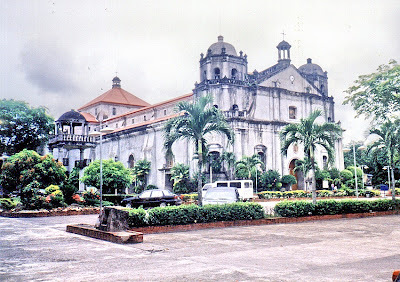 Here, on 20 September 1924, Monsignor Guglielmo Piani (Apostolic delegate of Pope Pius XI) canonically crowned the Statue of the Blessed Virgin of Peñafrancia as the queen of Bicolandia. The statue was also stolen here on August 15, 1981 under mysterious, unexplained circumstances and was returned, in six separated pieces, on September 5 in Manila. Old Shrine of Our Lady of Penafrancia : San Felipe Rd. Naga City, Camarines Sur. The Museo del Seminario Conciliar, opened on September 1998, consists of a Marian Room, Ecclesiastical Collection, Gallery and Archive and the Archaeological Collection. The Marian Room has a replica of Our Lady of Peñafrancia, pictures of the original Lady of Peña de Francia in Salamanca, Spain and extant postcard-size pictures of the canonical coronation of Our Lady of Peñafrancia. The Ecclesiastical Collection displays retablos (altar backdrops), antique santos, vestments, chalices, monstrances and episcopal seals of the liberal-minded Bishop Francisco Gainza and hard-line Bishop Arsenio Campo, the last Spanish bishop to serve in Bicol. The Archives-Gallery contains the memorabilia of Monsignor Jorge Barlin as well as pictures of the various Bicol bishops including Jose Cardinal Sanchez, the first Bicolano cardinal. The Archive has books in Latin and Spanish printed in the 1600s, 1700s and 1800s as well as baptismal and marriage registries in the 1700s and early 1800s. The Archaeological section displays the collection of Ermelo M. Almeda. It consists of Philippine pottery and burial jars found in archaeological diggings in the Bicol region, Calatagan (Batangas), Marikina City (Metro Manila), Samar and Palawan; porcelain ware from Vietnam and Thailand and Chinese porcelain ware from the Tang (618 to 906 AD) to the Ching (1645 to 1912) Dynasties. 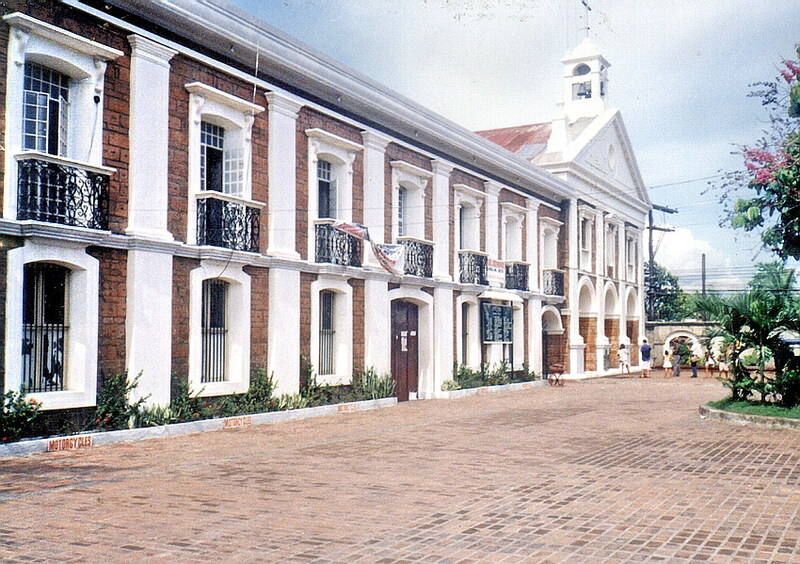 Museo del Seminario Conciliar: Holy Rosary Minor Seminary, Naga City, Camarines Sur. The next day, after breakfast at the hotel, we were whisked off on a tour of the city’s 3 foremost religious shrines. We made our first stopover at the Cathedral of St. John the Evangelist (also called the Naga Metropolitan Cathedral). Originally founded in 1595 on the location of the market, the present Spanish Romanesque church, one of the largest in the country, was completed in 1843. Damaged by typhoons and the 1811 earthquake, it was restored in 1890. 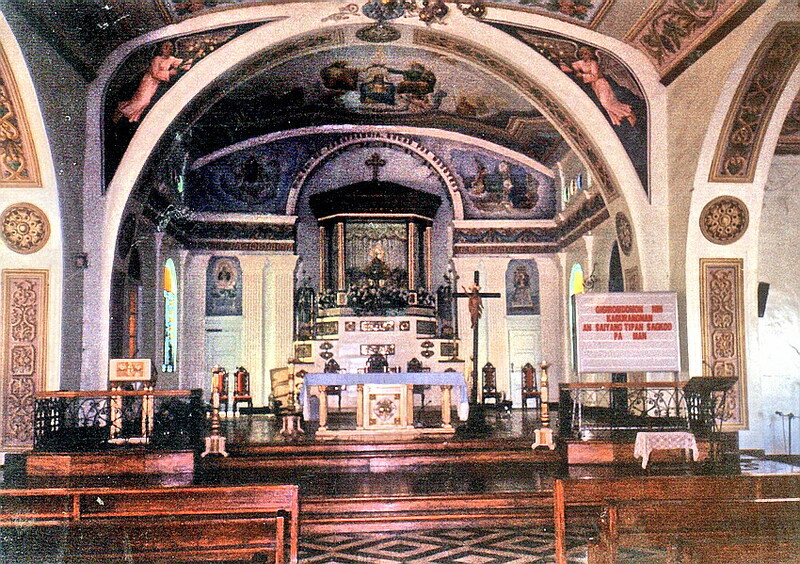 Its austere interior houses a Black Nazarene statue and some fine ecclesiastical silver in the sacristy. The church’s plain and massive, three-level façade has a semicircular arched main entrance, paired superpositioned columns, statued niches and a slightly curving end wall at the second level. It is topped by a triangular pediment with a centrally located clock. The levels of the massive, Renaissance-style bell towers on the flanks are marked by enclosing balustrades. The church has an austere interior, a Black Nazarene statue and some fine ecclesiastical silver in the sacristy. 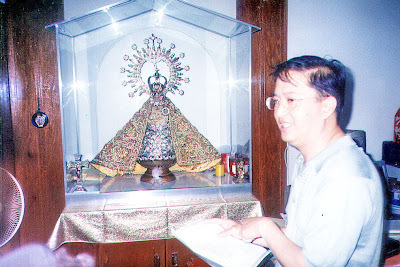 The image of the Virgin of Peñafrancia is transferred and enthroned here until her feast day from the Basilica during the Translacion (the 2-km. ritual transfer of the Virgin, by the traditional all-male retinue). A novena is held during the Virgin’s stay at the cathedral. Beside the cathedral is the Holy Rosary Minor Seminary where our media colleague Rick Alberto studied. 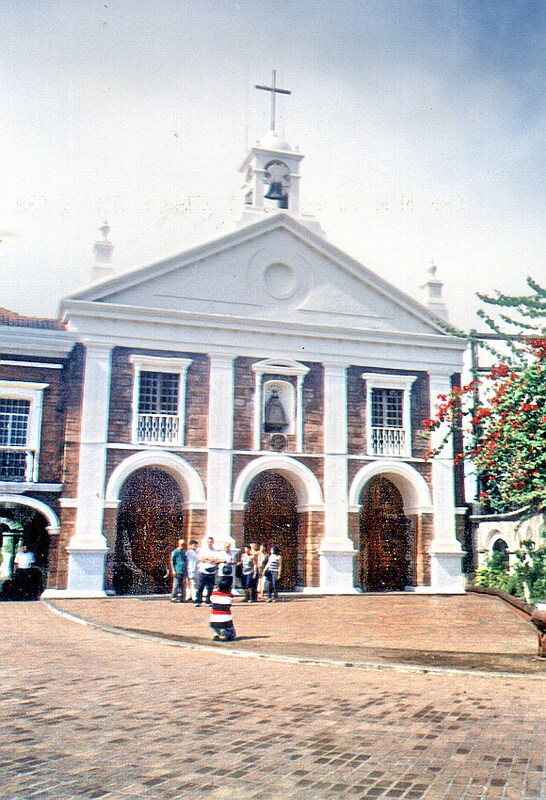 Formerly the Seminario Conciliar de Nueva Caceres, it was founded in 1797, the first school for ecclesiastical and lay education in Southern Luzon. 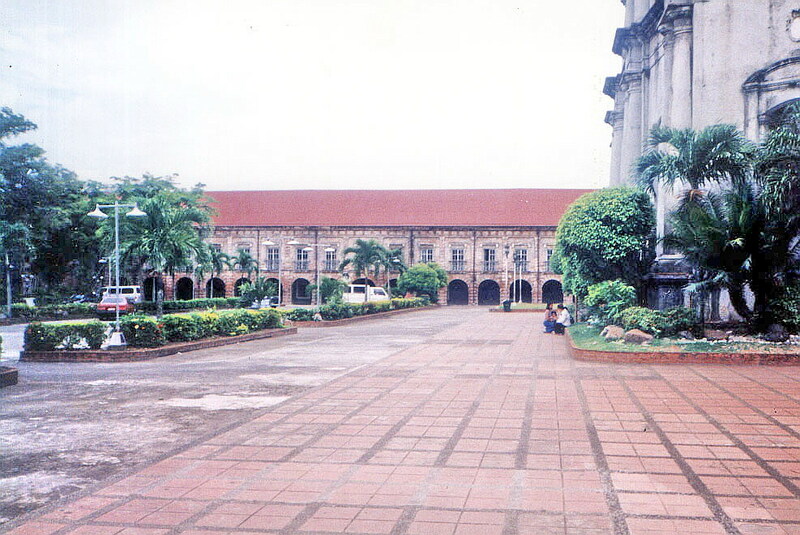 On September 1998, the cathedral’s old seminary building was declared a National Landmark by the National Historical Institute. Cathedral of St. John the Evangelist: cor. 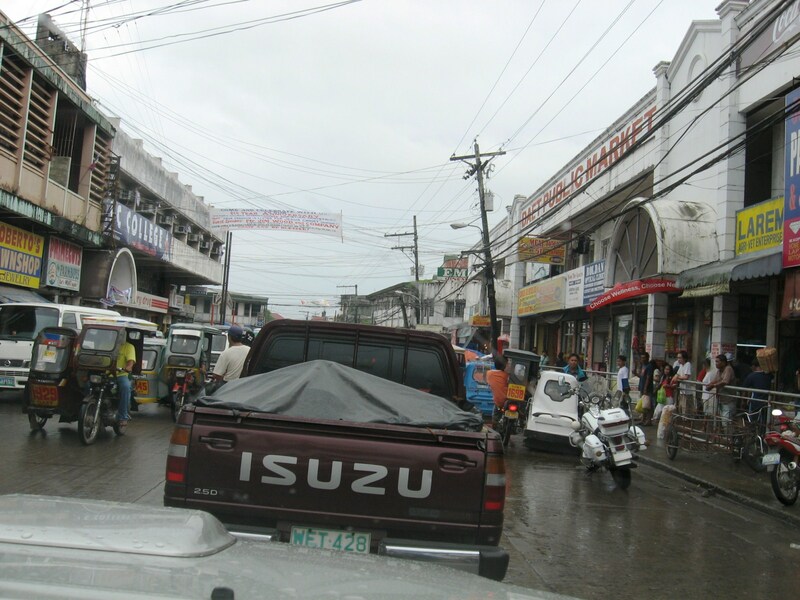 of Elias Angeles and Paz Streets. Tel: (054) 473-1836 and 473-8418. Feast of St. John the Evangelist: December 27. With still some daylight up ahead, we opted to visit another of Gov. 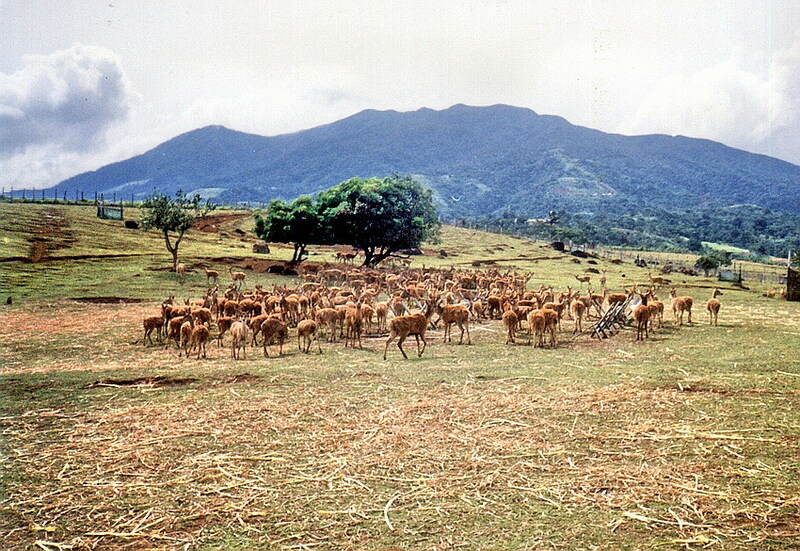 Luis Villafuerte’s priority projects: the Deer Breeding Farm in Ocampo. Located below Mt. 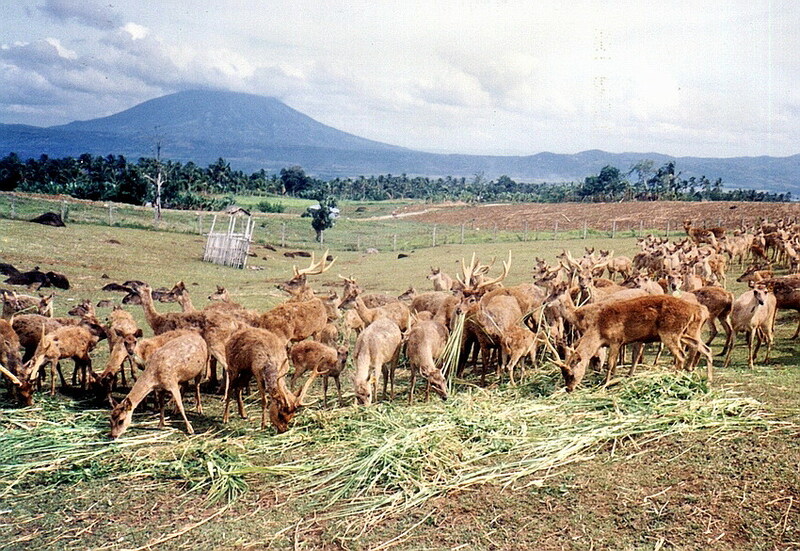 Isarog’s slopes, this experimental breeding farm, started in 1996, has a 60-head herd made up of 5 species of Australian deer (blackbuck antelope, the fallow deer, the chital deer, red deer and elk). Here, we decided to go “deer hunting” with our cameras. This proved quite difficult as the deer were wary of us newcomers, retreating as we approached them. Luckily, it was feeding time and the deer seemingly ignored us as they went about their meal with gusto. We also had our fill as we clicked away with our cameras. 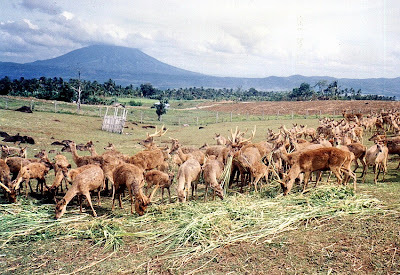 Its not everyday that we see deer in the country but it certainly is possible in Camarines Sur. Satisfied with this unique experience, we decided to call it a day, returned to our van for the return trip back to Naga City and our hotel, dropping off our guides along the way. That night, I slept soundly, counting deer instead of sheep. After an early morning breakfast at the hotel, Alex, Rick, Jess and I, together with Boyet and Susan, all left on our van for a familiarization tour of Naga City’s favorite getaway from the hustle and bustle of the city: Consoscep Mountain Resort at the foot of Mt. 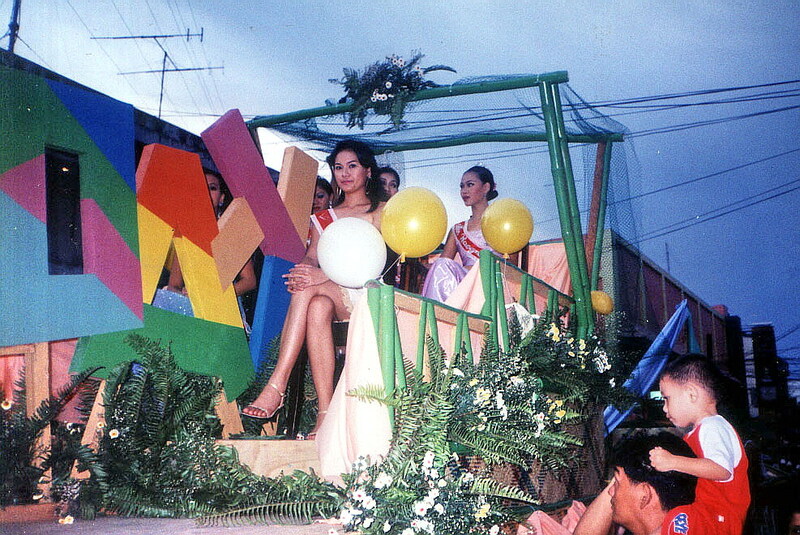 Isarog in Tigaon. Accompanying us as guides were Ms. Melba Niebres and Ms. Shiela Clara of the Camarines Sur Tourism Office in Pili. The trip, via the Jose Fuentabella Highway, was to take all of an hour. Past the towns of Pili and Ocampo, we turned left at the intersection leading to the resort. The 8-km. uphill drive was scenic all the way as we passed abaca plantations and verdant forests. Turning off our airconditioning, we instead savored the cool caress of its Baguio-like mountain air. Along the way, we also passed the Parks and Wildlife Office. 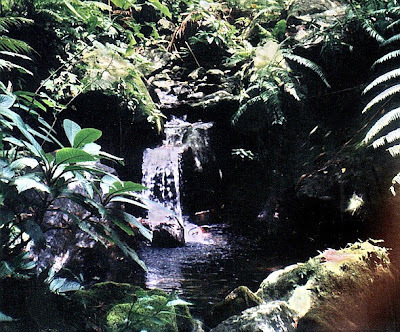 Nabontolan Springs are located within its grounds. 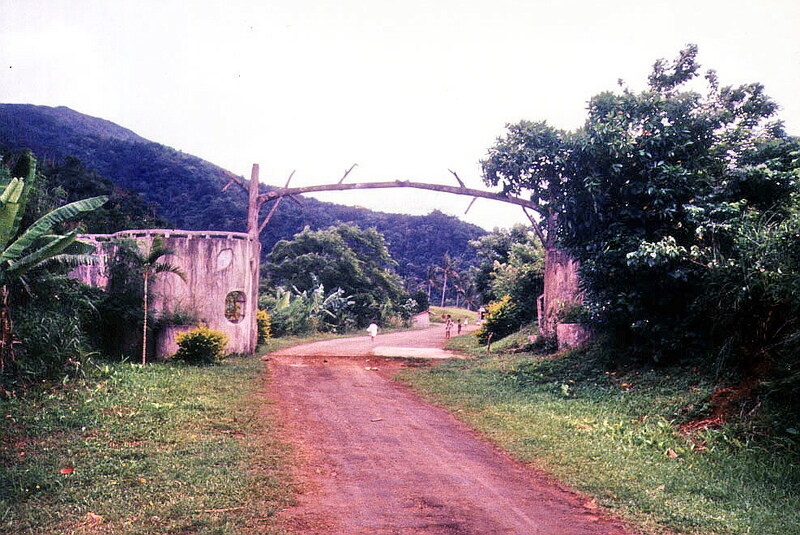 A welcome arch signaled our entry into Consocep Resort. This resort, developed in 1989 during the term of Gov. 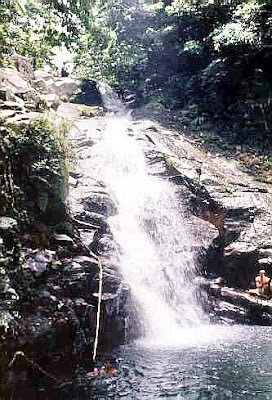 Luis Villafuerte, is located at the 1,800-ft. level of Mt. 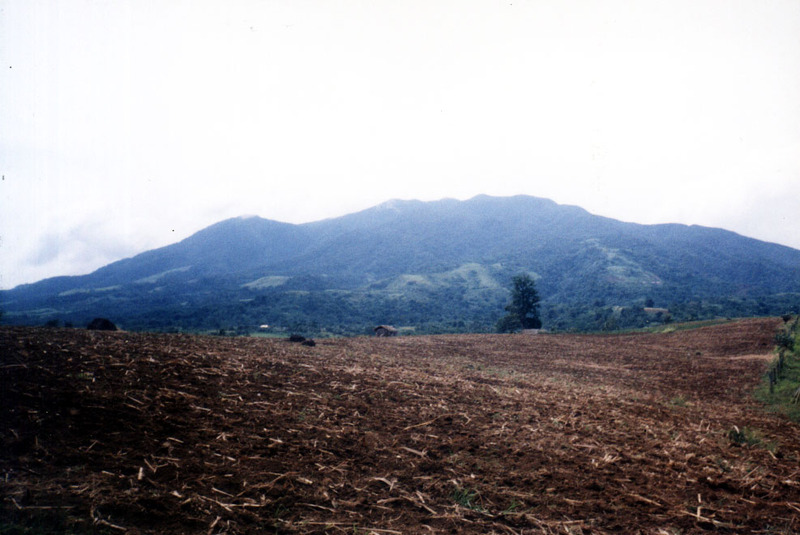 Isarog. 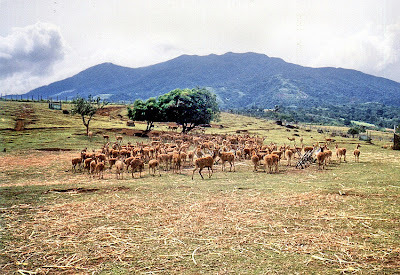 This extinct, isolated volcano’s vast 101.12-sq. km. (10,112-hectare) base covers Naga City and the towns of Calabanga, Goa, Pili, Tigaon and Tinambac. 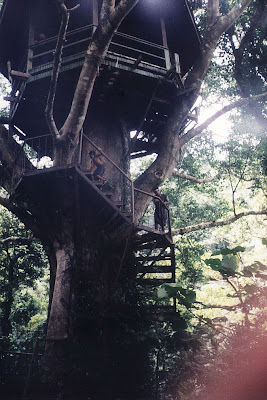 The mountain is said to be the home of the legendary Bicolano goddess Aligata and Negritos also live within its dipterocarp forest. Upon arrival, we parked our van at the park’s spacious lot. From hereon, it would be all footwork. The appeal of this mountain resort is its fascinating waterfalls. The resort has 3 major waterfalls: Bulalacao Falls, Kawa-Kawa Falls and Tumaguiti Falls. There are also 2 smaller ones. Getting to these falls proved to be easy as we leisurely hiked along cemented, pebbled-washout or cobbled-stoned pathways and stairs (there are said to be 1,394 steps along the trail). 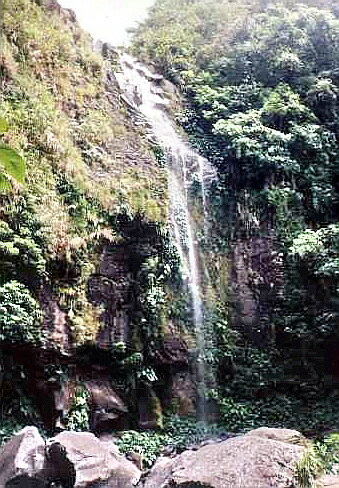 The first waterfall we reached, Tumaguiti Falls, was the park’s highest. Its name was derived from its rain shower-like gush of water. We weren’t prepared for a wet reception at this fall as we didn’t bring bathing attire or extra clothes. Boyet didn’t seem to care as he took, with gusto, his first “natural” shower, clothes and all. We could only watch in envy. We soon continued on our way to our next destination: Kawa-Kawa Falls. 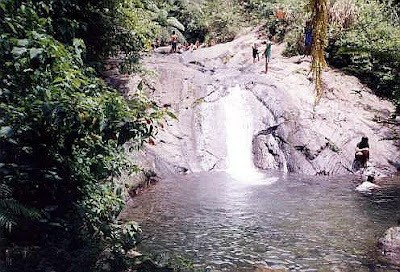 Its name was derived from the native word kawameaning “big cauldron.” Although a David compared to the Goliath-like Tumaguiti Falls, it is still the best known and most popular because of its natural “slide” into a man-made swimming hole so structured as to blend naturally with its surroundings. Again, Boyet took a natural bath in its refreshing waters while we consoled ourselves by just breathing the cool mountain air and admiring the tall trees and giant ferns. We also interviewed 47-year old Domingo Saulon, one of the park’s four rangers. After about 30 mins., we continued on our way to our final destination: Bulalacao Falls, so named because of its rushing cascade. After passing a dressing area and an impressive treehouse, we soon heard the rushing waters of the waterfalls. But first, we proceeded to its viewing deck. Quite tired and famished, we partook of the packed Bigg’s Diner packed lunch we brought along: fried chicken and laing (taro leaves with shrimps in coconut cream) cooked in true Bicolano fashion; hot and spicy. After this hearty lunch, our group proceeded down the steps, to the falls. What a falls it was! This third major waterfall truly lived up to its name, as its onrushing waters fell down, in graduated steps, to a deep, inviting pool surrounded by lush foliage. The temptation to dive in was irresistible and since I had already missed out on two beautiful falls, it would truly be a sin to miss out on this third and last opportunity. Clad only in my jogging pants, I waded its icy-cold waters for my own “natural” bath. Boyet, Alex and our guides; Melba and Sheila, soon followed suit. Susan, Jess and Rick still opted to remain as spectators, watching us as we lolled about the pool. After 30 mins. of sheer ecstasy, we reluctantly left the falls, drenched as a newborn chick, to make our way back to the park entrance. The return trip was all slightly uphill and our group was split in two as the others lagged behind. Reaching the parking lot ahead of them, I took the opportunity, while waiting for the others, to dry myself under the sun. Soon everyone was accounted for and we all boarded our van for the return trip down the mountain.